Why elephants rarely get cancer is a mystery that has stumped scientists for decades. A study led by researchers at Huntsman Cancer Institute (HCI) at the University of Utah and Arizona State University, and including researchers from the Ringling Bros. Center for Elephant Conservation, may have found the answer. Joshua Schiffman, M.D., pediatric oncologist at the Huntsman Cancer Institute at the University of Utah, has led a study that could explain why elephants rarely get cancer. Elephants have extra copies of a gene that encodes a well-defined tumor suppressor, p53. Elephants may also have a more robust mechanism for killing damaged cells that are at risk for becoming cancerous. The findings could lead to new strategies for treating cancer in humans. 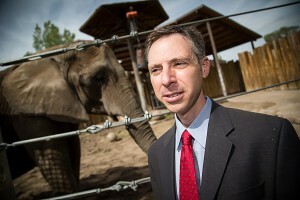 According to the results, published today in the Journal of the American Medical Association (JAMA), and determined over the course of several years and a unique collaboration between HCI, Primary Children’s Hospital, Utah’s Hogle Zoo, and the Ringling Bros. Center for Elephant Conservation, elephants have 38 additional modified copies (alleles) of a gene that encodes p53, a well-defined tumor suppressor, as compared to humans, who have only two. Further, elephants may have a more robust mechanism for killing damaged cells that are at risk for becoming cancerous. In isolated elephant cells, this activity is doubled compared to healthy human cells, and five times that of cells from patients with Li-Fraumeni Syndrome, who have only one working copy of p53 and more than a 90 percent lifetime cancer risk in children and adults. The results suggest extra p53 could explain elephants’ enhanced resistance to cancer. “Nature has already figured out how to prevent cancer. It’s up to us to learn how different animals tackle the problem so we can adapt those strategies to prevent cancer in people,” says co-senior author Joshua Schiffman, M.D., pediatric oncologist at Huntsman Cancer Institute, University of Utah School of Medicine, and Primary Children’s Hospital. According to Schiffman, elephants have long been considered a walking conundrum. Because they have 100 times as many cells as people, they should be 100 times more likely to have a cell slip into a cancerous state and trigger the disease over their long life span of 50 to 70 years. And yet it’s believed that elephants get cancer less often, a theory confirmed in this study. Analysis of a large database of elephant deaths estimates a cancer mortality rate of less than 5 percent compared to 11 to 25 percent in people. 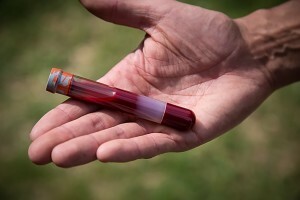 Investigators at the Huntsman Cancer Institute at the University of Utah analyzed cells in blood from elephants, obtained during routine health checks, to learn why the animals rarely get cancer. The studies were made possible by collaborations with Utah’s Hogle Zoo and the Ringling Bros. Center for Elephant Conservation. In search of an explanation, the scientists combed through the African elephant genome and found at least 40 copies of genes that code for p53, a protein well known for its cancer-inhibiting properties. DNA analysis provides clues as to why elephants have so many copies, a substantial increase over the two found in humans. The vast majority, 38 of them, are so-called retrogenes, modified duplicates that have been churned out over evolutionary time. Schiffman’s team collaborated with Utah’s Hogle Zoo and Ringling Bros. Center for Elephant Conservation to test whether the extra gene copies may protect elephants from cancer. They extracted white blood cells from blood drawn from the animals during routine wellness checks and subjected the cells to treatments that damage DNA, a cancer trigger. In response, the cells reacted to damage with a characteristic p53-mediated response: they committed suicide. With respect to cancer, patients with inherited Li-Fraumeni Syndrome are nearly the opposite of elephants. They have just one active copy of p53 and more than a 90 percent lifetime risk for cancer. Less p53 decreases the DNA damage response in patients with Li-Fraumeni Syndrome, and Schiffman’s team wondered if more p53 could protect against cancer in elephants by heightening the response to damage. To test this, the researchers did a side-by-side comparison with cells isolated from elephants (n=8), healthy humans (n=10), and from patients with Li-Fraumeni Syndrome (n=10). They found that elephant cells exposed to radiation self-destruct at twice the rate of healthy human cells and more than five times the rate of Li-Fraumeni cells (14.6%, 7.2%, and 2.7%, respectively). 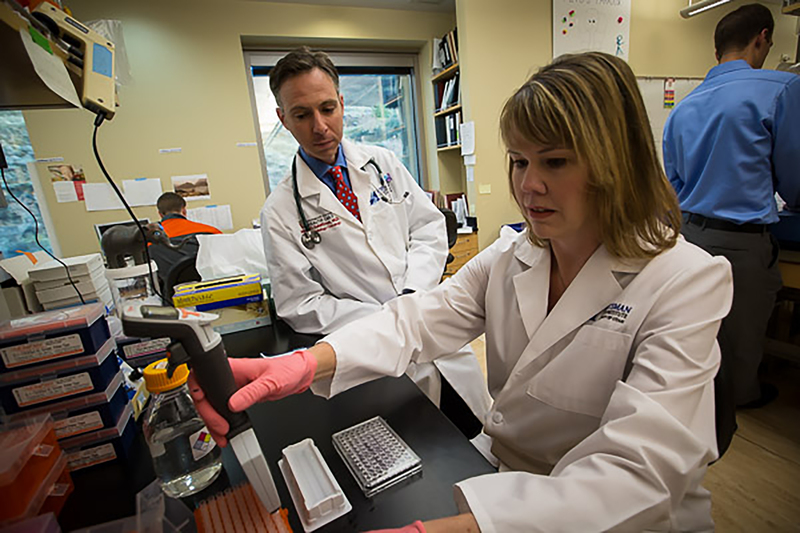 These findings support the idea that more p53 offers additional protection against cancer. “By all logical reasoning, elephants should be developing a tremendous amount of cancer, and in fact, should be extinct by now due to such a high risk for cancer,” says Schiffman. “We think that making more p53 is nature’s way of keeping this species alive.” Additional studies will be needed to determine whether p53 directly protects elephants from cancer. “Twenty years ago, we founded the Ringling Bros. Center for Elephant Conservation to preserve the endangered Asian elephant for future generations. Little did we know then that they may hold the key to cancer treatment,” said Kenneth Feld, Chairman and CEO of Feld Entertainment.